Fine Laser Cut: Laser Cutting Systems and Services. Fine Laser Cut: About Us. The Fine Laser Cut offers a wide array of laser services from the stencils and prototypes stage through production. Our most valuable and unique ability are the laser cutting and deep engraving of precious metals for jewelry design and manufacture. 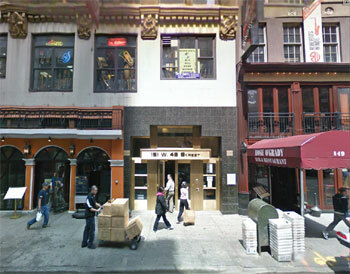 The Fine Laser Cut is located in the heart of midtown Manhattan, the Times Square area in New York City. titanium, stainless steel, mild steel, aluminum, and other alloys. Laser marking and deep laser engraving of metals. Laser engraving and laser cutting of acrylic, wood, paper, leather, and much more. We offer our services and technical experience to our customers operating in different manufacturing fields.